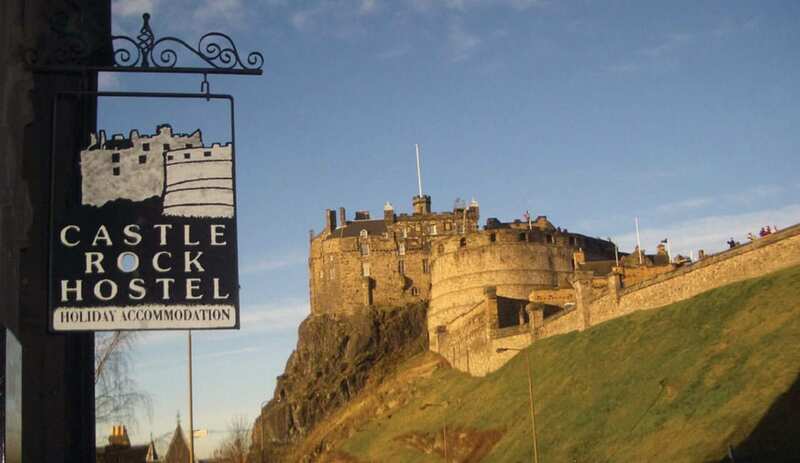 In a wonderful location, facing south with a sunny aspect and panoramic views over the city, Castle Rock Hostel is just steps away from the city centre with the historic Royal Mile, the busy pubs and late-late nightlife of the Grassmarket and Cowgate and of course the Castle. Most of the rooms have no traffic noise, there are loads of great facilities, 24-hour reception and no curfew. With its beautiful and dramatic skyline, Edinburgh is truly one of the world's great cities. The cobbled streets of the Old Town lead past mysterious gothic buildings up to the magnificent castle. Below the castle's rocky pinnacle lies the New Town's 200-year-old Georgian splendour. This accommodation is featured on our map of the Scottish Borders, Glasgow, Edinburgh and South Scotland and here is its own website. All year. Reception 24 hours. From £14 per person. ID required for check in. Booking not always essential. First night's payment needed to book. 10 minutes' walk from Waverley train station, turn left out of the station and continue to small roundabout. Cross over and continue up Cockburn Street to the top. Turn right onto the Royal Mile and follow uphill towards the Castle. Take the left fork at the Hub (church) and the hostel is situated 200 yards on the left side of Johnston Terrace next to two red telephone boxes. By Car : follow signs for city centre towards the Castle turning onto Royal Mile uphill towards the Castle then left fork at the Hub onto Johnston Terrace. 10/20 minute walk from Waverley train station and Edinburgh bus station (taxis £3-£5). Airport bus goes to train station so it's easy to get to the hostel. 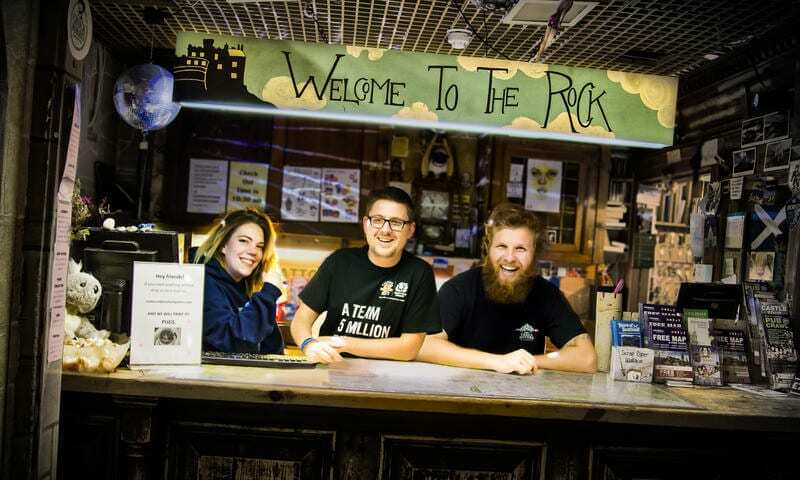 This accommodation is available to individuals, gives a Best Price Guarantee, has a pub within walking distance and is on the Scottish National Trail, the City, Backpacker and Boutique Hostels map and the page of accommodation near Castles. Blown away by another great Arthur’s Seat walk organised by Castle Rock Hostel. This is just one of the events organised by the hostel, such as pub crawls, pool competitions and ceilidhs to keep you entertained. There are also Movie marathons in the Cinema Room. This was a great Great day for an Arthur’s Seat walk, but an even better day for a Highland Chicken and a well deserved cold pint back in the old town. Stay at the heart of the city, take part in social activities and most of all have fun! 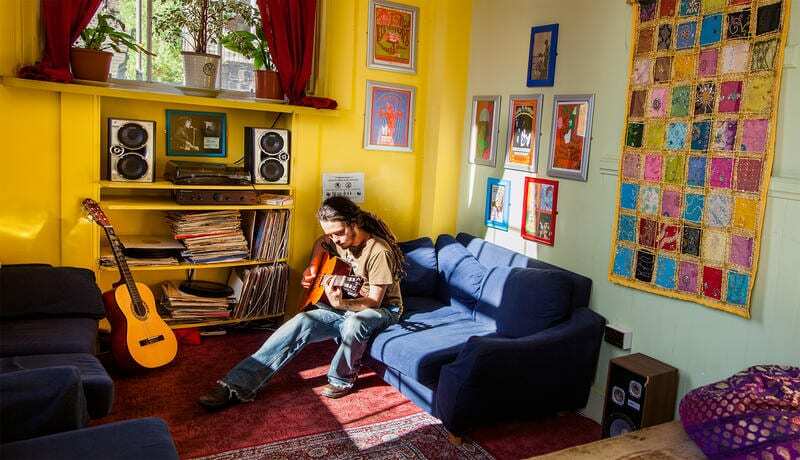 Book Direct at Castle Rock Hostel, Edinburgh for a great stay in this lively city. 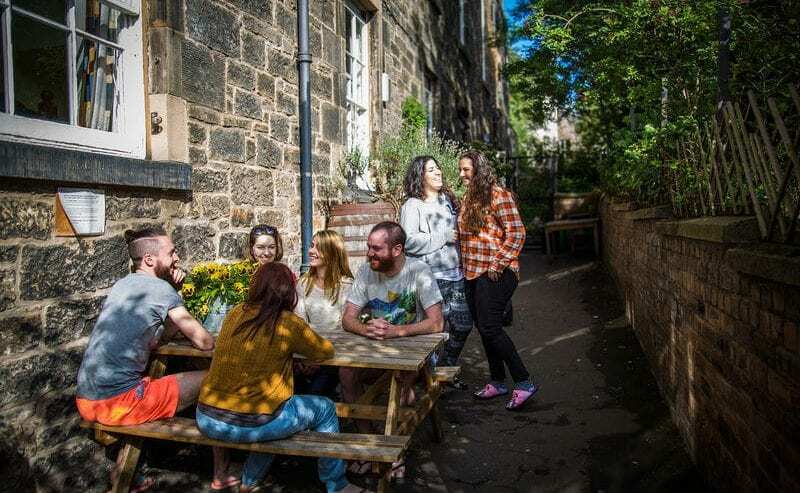 The hostel hosts lots of social events including a pub quiz, guided walks to Arthurs Seat and a Thursday night pub crawl. A great way to make new friends and have fun in Scotland’s capital.